Did you know that allowing your child to learn a second language brings them a lot of other benefits – apart from the obvious benefit of learning a different language? This is why at Montessori Children’s House, a trusted provider of early childhood education in Riverside, California, we offer to teach your child Spanish as part of our extracurricular activities. Get an advantage academically. Did you know that Spanish is the most commonly taught second language in both public and private schools? Moreover, it is also offered as an SAT II subject test and AP test. Starting your child early and taking advantage of our Spanish program at Montessori Children’s House allows your child to be better prepared for these academic challenges in their future. Learn about another culture. The world that we live in is vast and it has a lot of diverse people and cultures. Allowing your child to learn Spanish or any other second language, allows your child to learn about another culture separate to their own. It broadens their thoughts and horizons. Increase their opportunities for travel. If you want your child to be able to travel someday, teaching them Spanish will give them an advantage. This is because Spanish is the official language of 21 different countries worldwide! Understanding Spanish also relieves travel stress since you would be able to understand directions and menus – opening countless doors for your child who wants to travel in the future. Increase future employment opportunities. As young as your child is now, you might already be thinking about their future career. Allowing your child to learn Spanish with us at Montessori Children’s House gives them an advantage when applying for future jobs – drastically increasing their future employment opportunities. Learning Spanish is personally heartening; it gives your child insight into another culture; and it is definitely an advantage in almost all careers. 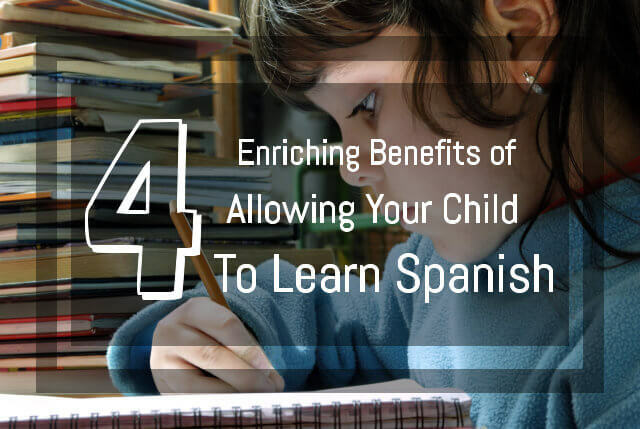 So, if you want your child to enjoy these benefits, make sure to inquire about our Spanish program today! Call us today at 951-359-5437 and enroll your child to one of the best providers of early childhood education in Riverside, California! This entry was posted in Child Education, Early Education and tagged academic programs, childhood education, kinder, nursery. Bookmark the permalink.